A blacklisted member of the 'Hollywood Ten,' Ring Lardner Jr. spent time in federal prison for refusing to answer when the House Un-American Activities Committee asked if he was a member of the Communist Party. 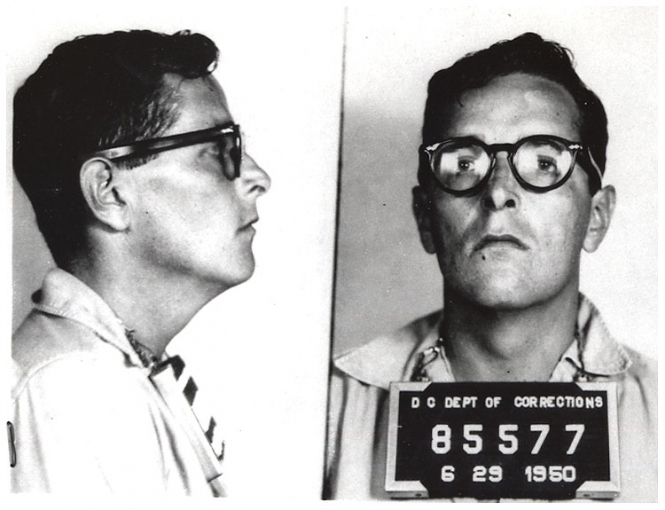 Pictured here in a Bureau of Prisons mug shot, Lardner had ceased using a pseudonym by the time he wrote the screenplay for M*A*S*H in 1970. Submitted by JohnWaynesMangirdle on Sat, 2011-06-11 08:39. Imprisoned for refusing to answer? What a sad country we are. Submitted by clipper965 on Sun, 2011-03-06 15:36. Lardner was the only one of the Hollywood Ten that was a decent person. He got into the Party in the 30's like many young idealists and later left it. His last interview in 1999 is on YouTube.